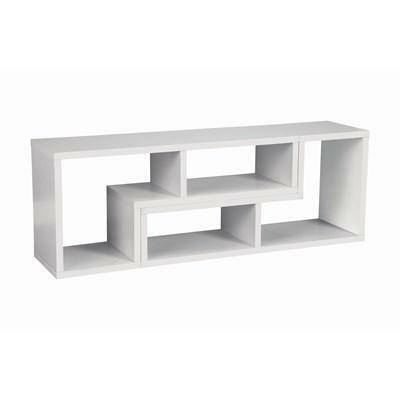 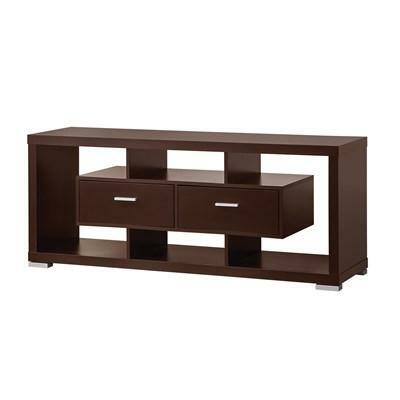 This versatile piece of furniture embodies multipurpose design. 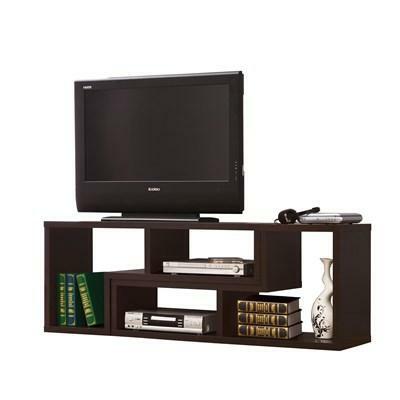 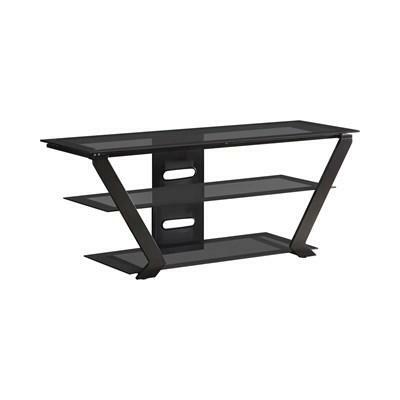 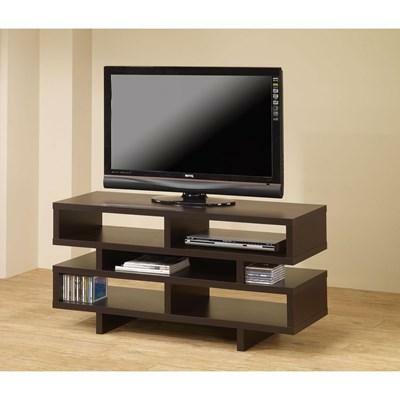 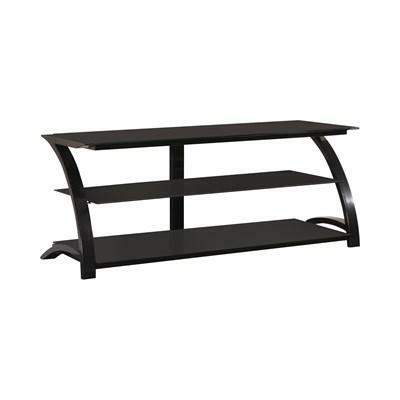 Use upright as a flexible bookcase, or turn on its side to use as an attractive television console. 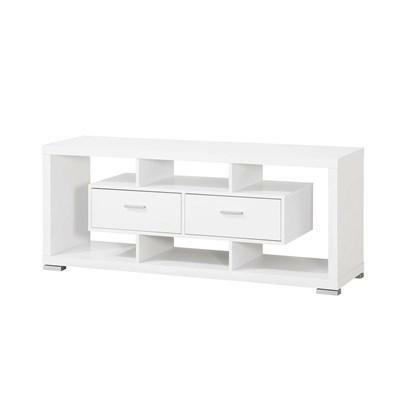 Both options offer plenty of space for storage and display. 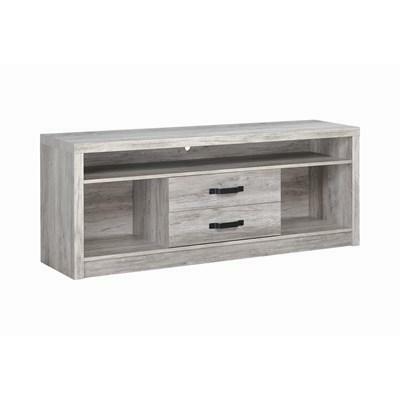 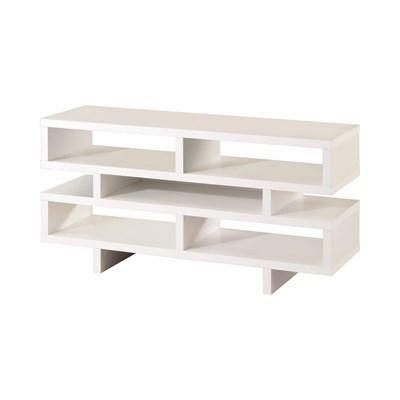 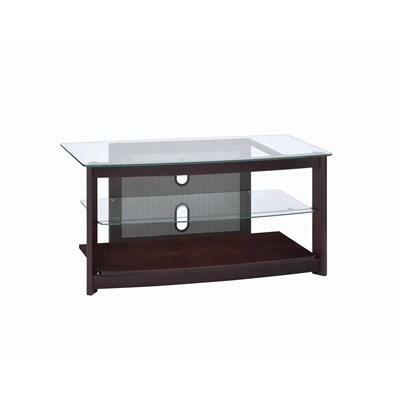 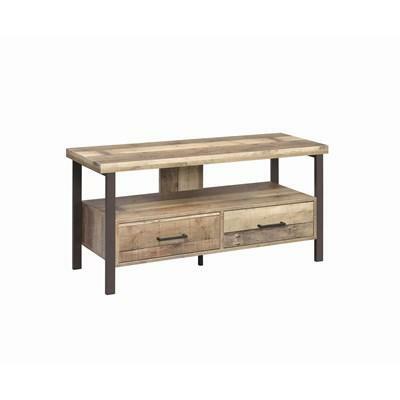 This TV Console offers a casual design and a beautiful grey driftwood finish. 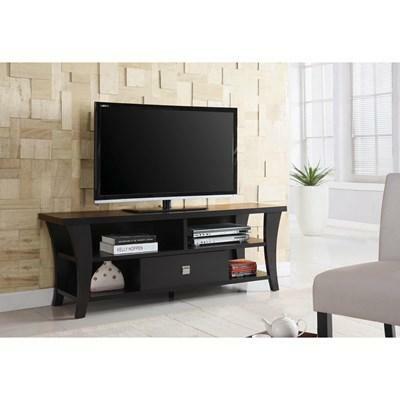 It features three open compartments and two storage drawers adorned with metal pull handles in a black finish.